OZ Racing are one of the leading names when it comes to alloy wheels. Having made wheels for Formula One greats, motorcyclists, track day racers and tuners around the world; the company is steeped in history despite not even being 50 years old! Motorsport and tuning go hand-in-hand sometimes, with a lot of products developed for the track eventually filtering their way down to the roads and exhibitions. 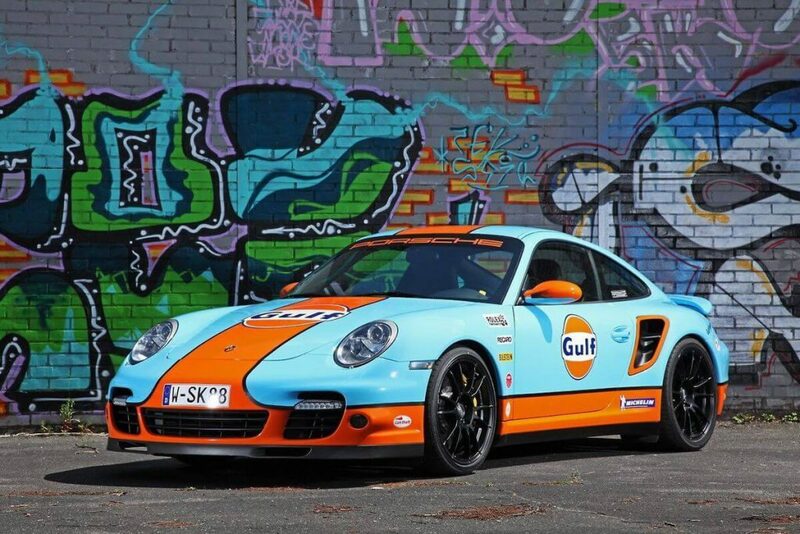 Tested and trusted by the very best drivers, key car parts and alloy wheels are often given the professional racing seal of approval and that then means we can eventually turn our own cars and motorcycles into highly tuned road legal and track day racers. A lot of brands take this approach, utilising the input of the very best drivers to help develop their product offering and OZ Racing are no exception in this respect. An Italian brand founded in a petrol station on the outskirts of Venice in 1971, OZ take their name from the initials of their founders Silvano Oselladore and Pietro Zen and started life producing alloy wheels in 1978. 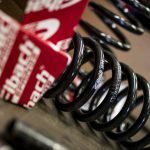 In the latest of our big brand focuses, we’ll take a look at where OZ Racing have come from, how they’ve got here and what makes OZ wheels some of the most stylish and in-demand alloys on the market today. As we’ve already touched upon, the OZ brand was devised in a petrol station near Venice in the early 1970s, taking several years to get off the ground before hitting the tarmac running a few years later. After some significant investment and extensive periods of design and development, OZ began production of their first line of alloy wheels and the rest – as they say – is history. The company started out making a number of lightweight alloy wheels for rallying, and a first set of motorcycle wheels a year later. After some serious financial backing, OZ Racing was set up in 1984 and production began on the brand’s Formula One racing wheels – something we’ll touch upon later. 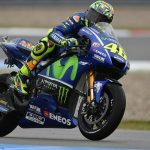 By the turn of the millennium OZ had already made a significant impact on numerous racing championships and were starting to turn heads in motorcycling. In 1999, the brand launched a collaboration with another big name in Italian motorsport – Aprilia – and began making forged aluminium motorcycle wheels for the RSV 1000R. All completely TUV-certified (which is not a requirement for Italian cars, but OZ has gone above and beyond to meet it anyway), and also passing through HLT (high light technology) safety tests, a process that very few other road-going car wheels are subjected to, OZ wheels are arguably the safest style of aftermarket wheels that money can buy; yet further proof of the trickle-down effect from professional motorsport into the performance market. We’ve mentioned it very briefly there, but HLT is a massively important process in the development of new wheels. Essentially the process of making wheels lighter, but much stronger, than ever before; high light technology means that these wheels are strong enough to pass through the most rigorous safety tests and to provide the essential structural integrity you expect from your car’s wheels. The HLT process came about as a result of the ongoing development of car wheels, filtering down from the world of Formula One wheels – where OZ are key players – to road and track cars driven by us mere mortals, utilising all of the development and expertise of the professionals to provide better wheels for the general public. The very first brand of alloy wheels distributed under the OZ name were known as MSW, a collection of stylish and innovative wheels years ahead of their time. Offering customers exceptional quality, superior design and incredible value for money – even to this day with MSW wheels still in production (and available to buy at Demon Tweeks). Distributed throughout the early 1980s, OZ MSW wheels have always been seen as stylish and perfectly machined alloy wheels that are great in any conditions and climates – and fit seamlessly to any make and model of car, too. 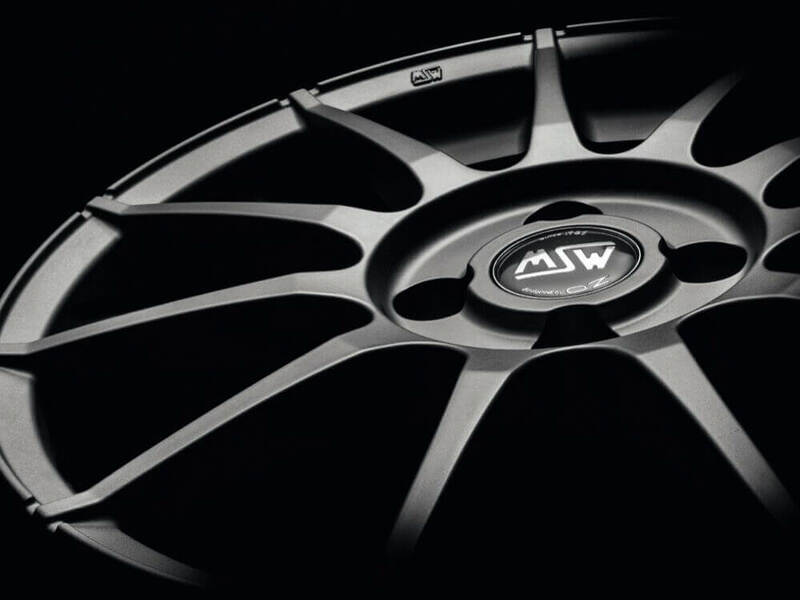 Today, MSW wheels are still in high demand and available in a wealth of different styles including the MSW 85, MSW 71 and the MSW 25 alloys which are proving to be particularly popular right around the world. From the original Mini Cooper on which the TUV-certified MSW wheels were fitted to the modern remake of the British classic car, MSW wheels have a timeless design that has been regenerated over and again by OZ but has never once lost an ounce of its class or performance. For more than 30 years now, OZ have been in and around various forms of motorsport. The advice and feedback from some of the world’s biggest teams and drivers has meant that OZ can develop exactly what professionals are looking for and – as mentioned – this eventually filters down to the amateur and club racing circuit as well as the aftermarket wheels sector. By 1984, just six years after establishing the company, OZ had made such a name for themselves through high quality, stylish alloy wheels for road cars that they were entering the world of Formula One, supplying the wheels for the Alfa Romeo team led by Riccardo Patrese and Eddie Cheever. In 1993, Alain Prost won the first ever Formula One world championship for Williams, doing so using OZ wheels for the season to really cement the OZ name in racing. Over the next few years, more championships were won by teams using OZ wheels including another F1 World Title for Williams and Damon Hill, the World Rally Championship on a Peugeot 206 in 2000 and the Le Mans 24 hours in 2001. The OZ Superturismo wheels which were a part of many of these titles and race victories was adapted for the aftermarket sector in 2004, making it possible for drivers to get the exact same style of racing wheels for their own road and track cars. The range was extended to include celebratory designs, including the now iconic OZ Racing Superturismo WRC alloy wheels, finished in white with red branding, a style that remains popular today among tuners and those with classic racers. Just two years later the range began to grow and evolve again with the introduction of the OZ Ultraleggera wheels, a redesign and rebranding of the classic Superleggera, which saw the wheels remade using lighter, stronger materials in the same iconic design. 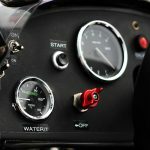 The motorsport connections didn’t simply start and end there for Oz. From the early days of developing Formula One wheels the brand has been constantly evolving their range of wheels to adapt to the changing design and aerodynamics of the cars and teams, meaning a fresh set of challenges for the Oz Racing team. Today, Oz wheels are used on the Formula One racing cars of four teams. Let’s rephrase that slightly. 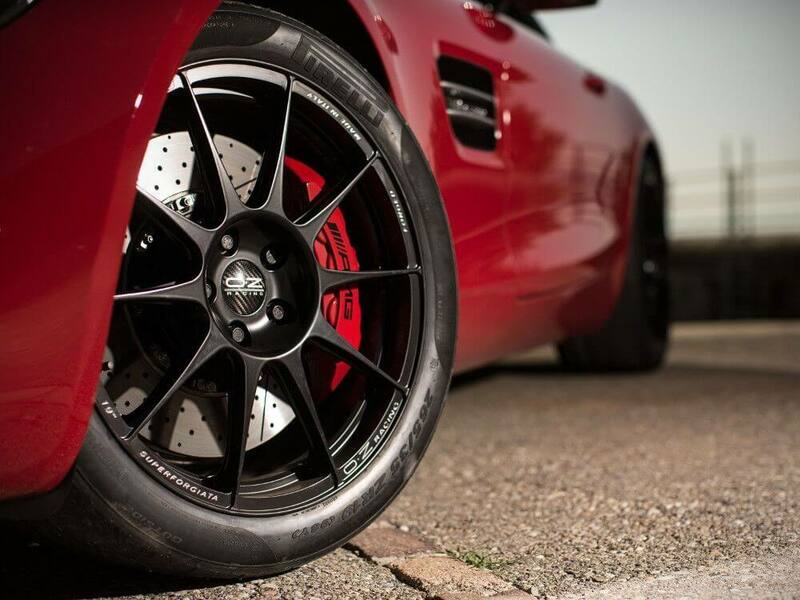 Today, Oz wheels are used by arguably the four largest Formula One racing teams: Scuderia Ferrari, Mercedes-AMG Petronas, Red Bull Racing and Renault. So the next time you see one of these cars in Parc Ferme, (and you will), keep an eye out for the Oz wheels that helped get them there. To celebrate the 45th anniversary of the brand, OZ released a very special edition range of wheels known simply as the OZ Racing Anniversary 45 alloy wheels. A set of wheels made in the same style as their very first set of racing alloys, but with a modern design and construction process, these wheels were heat-treated to provide a strong but lightweight style with a retro look. OZ and Sparco are two of the leading names in motorsport, and the companies have a relationship dating back to 1990 when the first OZ Sparco wheel rolled off the production line. 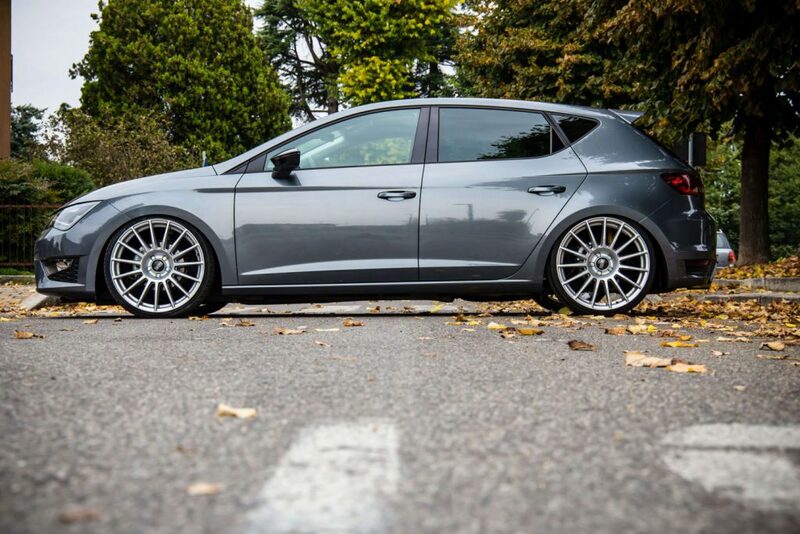 Sharing their “racing DNA” and a passion for high performance, the two brands have continued to develop stylish alloy wheels ever since and in 2008 devised a brand new range of alloy wheels under the Sparco name. All TUV certified, these new Sparco wheels like the Assetto Gara and Pro Corsa alloys utilise the design and technology capabilities of OZ Racing merged with Sparco’s racing expertise resulting in a range of exclusive and innovative wheels made in the OZ factory in Italy. 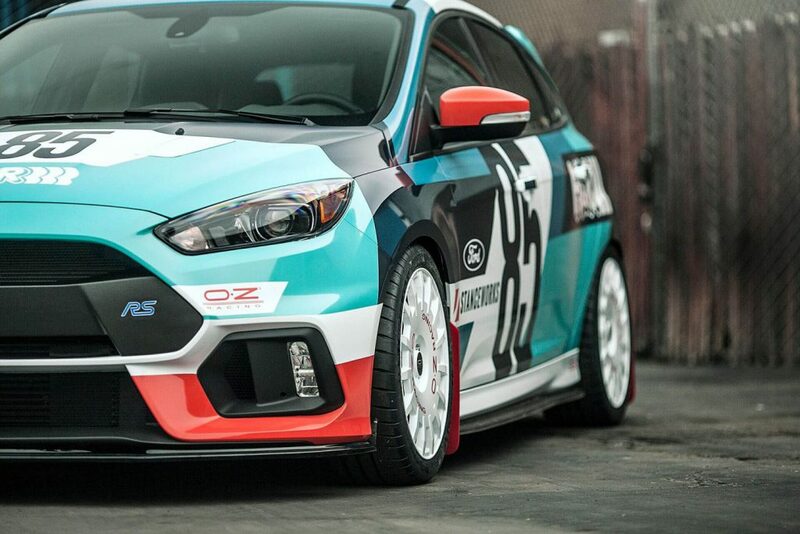 Of course, Sparco isn’t the only brand that OZ has worked with. In similar relationships to that between OZ and Sparco, the Italian manufacturer has teamed up with iconic motoring names like Ferrari, Lamborghini, Maserati, McLaren, Aston Martin and Lotus to create some of the most instantly recognisable wheels in the world – many of which have proven to be such monumental successes that they are preserved in motoring museums around the world. There is then the relationship with Mercedes Benz, specifically the AMG division. OZ is the official supplier for the Petronas Motorsport section of the business, co-engineering their high performance wheels for the team. Who is buying OZ wheels? As a globally popular brand with a reputation for quality and performance stretching from family saloons to Formula One World Championship-winning machines, OZ wheels attract interest from almost every kind of motorist imaginable. You only need spend a few moments looking at the company’s Instagram account to see who is buying and fitting OZ wheels with customers ranging from keen performance and tuning enthusiasts to owners of show cars and even the JDM (Japanese Domestic Market) where performance and alloy wheels are every bit as important as tuned engines and exhausts.